Among the types of hair extension, micro-ring hair extension is one of them. They are basically tiny rings made up of silicone-coated aluminum and it is used in attaching hair extension to your normal hair. If you are looking for a long-lasting solution which can make your natural hair look lengthier, so this can be a perfect solution as this can benefit without damaging your natural hair. 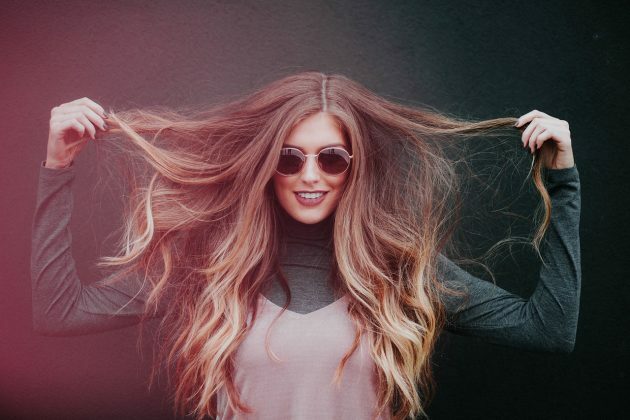 Those women who want to try hair extensions for the first time, so for the first-timers, micro-rings can be ideal as it doesn’t use adhesives so they are reliable as using adhesives can damage your real hair. As this type of hair extension uses a minor aluminum ring to fix them so it means there is no such glue used so, it won’t stick to your hair and you don’t need to worry for your natural hair to get damaged as it doesn’t contain any chemicals. This type of hair extension can be easily adjusted in whatever way you want. It won’t get detached by doing this as it is flexible to use and can be easily attuned. Micro-ring hair extensions can be reused and this is a huge advantage as other hair extensions can’t be reused after applying for once. If your scalp is sensitive, so this micro-ring can help you as it doesn’t use any heat so you can easily get through this process without any skin sensitivity or rashes. They come in a huge variety of color and styles as different people want different color according to their face complexion. Here, people have a choice to pick any color or style according to their taste. It offers a greater volume to your hair as some women have thin hair but they want their hair to have more volume so, micro-rings can help them in maintaining more volume to their hair. Its removal is very easy as it doesn’t hold any material having glue so this helps them in easily removing it without getting it stick to your natural hair or scalp. How Much Time Period Micro-Ring Hair Extension Takes to Attach? It takes minimum 4-5 hours to get it fixed in hour hair. For How Long Micro-Rings Stay in Your Hair? If taken care properly, so it may last for 2-3 months. For the first-timers, micro-rings hair extensions are easy to carry as it can be easily fixed and it won’t harm them in any case as it doesn’t contain any harmful chemicals. Moreover, they are very easy to wash as it doesn’t tangle your hairs between one another while washing it. If you are a first-timer and you want a good experience in the very first attempt, then you may check out microring hair extensions by Youngraceful.